Rugby World Cup 2015 - Inflatables! 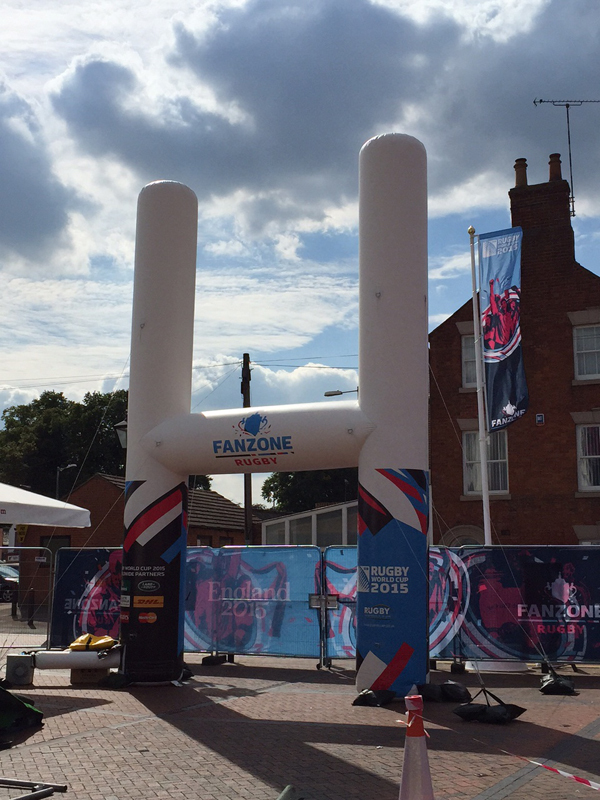 Imagine have been involved with manufacturing various inflatables for a number of clients for the Rugby world cup. From giant Rugby posts to small promotional Rugby balls! The giant inflatable posts were installed by our operative Julian at our nearby city Rugby! This was for our client Icon.